How being a giver, not a taker, will reap rewards, and find out just what it is that you need to give. How to be the Mick Jagger of the mail room! 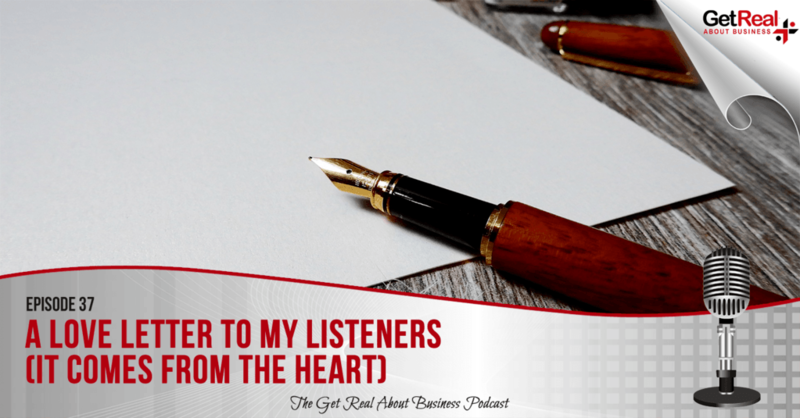 A little different to my usual interview-style podcast today, and this applies not just to successful entrepreneurs but to all my listeners. A recent conversation with a coaching client of mine inspired me to change things up a little bit after he’d suffered a blow to his business that threw him completely off track. So I thought I’d offer a virtual hug to listeners who might be struggling in a similar way. I find that most new business owners that I talk to come up against this at some point. You feel trapped and stuck to the point of paralysis, not knowing what to do next to get motivated again. It might help to know that you are not the only one that’s felt like this, thinking that everyone else is taking things easy while their business moves on effortlessly. I have! But instead of thinking “if only…” or blaming others for our misfortune, it’s within our own power to change things around very quickly. Believe it or not, problems are not problems unless our reaction to the event makes it a problem. Apart from tragic things like disease or natural disasters, we do have control over how things affect us. Don’t blame others; we ourselves are responsible for the circumstances we are in and only we can determine how we react to those circumstances – for better or worse! In this episode, we will look at how a mindset shift can turn you from being a taker to a giver. We consider how a victim mentality gives nothing to anyone, especially not yourself. To be successful in business, we need to understand that helping people and giving value and generosity is what is most appreciated, “sharing the love” if you like, and will repay dividends. Success comes from the inside-out – set a positive attitude to be worthy of a successful business. Start from the inside-out – meaning it starts with us, not other people or forces around us. Your inner world creates your outer world. Take risks. Focus on creating the biggest impact possible. Maybe it seems daunting to leave your comfort zone but don’t sabotage your own potential! Don’t let anyone convince you that you can’t achieve great things. Your thinking and attitude can change your reality! Start with awareness of your behaviour: respond, don’t react. A reaction is often a habit, and habits become an unconscious rather than a conscious choice of how you will respond – you do have a choice – it’s up to you to exercise it. I hope this hits the spot with some of you and inspires you today. The takeaway for this podcast is to keep in front of you the knowledge that what you do in this very moment is what shapes your reality. Leave a note in the comment section below or a voicemail in the tab on this page. Come and say hello on my Facebook group, Earning the Right. Leave an honest review on iTunes. Your ratings and reviews really help and I promise to read each one. My personal copywriters and grammar geeks, WordPerfect VA. Your website is the face of your business and the words you use matter. How confident are you that every. Visit WordPerfectVA.co.uk/getreal for your free 5 page review. Clive is the founder and small business coach at Get Real About Business. He specialises in teaching business owners how to make more money, more easily, while enjoying a business and lifestyle that reflects their priorities. When not coaching and training, Clive hosts the Get Real About Business Podcast in which he shares the mic with world-class experts from around the globe to discuss marketing and business growth strategies. #46: If You Were Able to Collaborate with… [Insert Dream Person] What Would That Look Like? #39: Dealing with Opportunity: Do It or Ditch It?